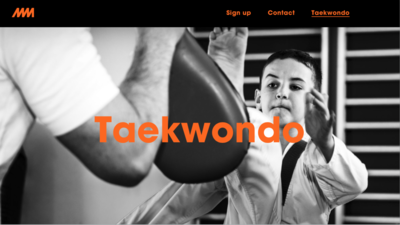 Based in Melbourn Australia, they will teach kids the many values of Tae kwon Do and provide adults with a Mixed Martial Arts program. 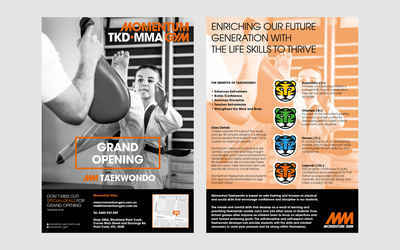 This was the idea we started out with, given to us by the founders of Momentum Gym. 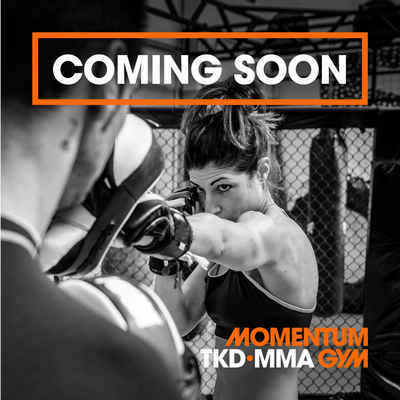 With this as a starting point we gradually developed the name, the identity, and the brand for the gym. 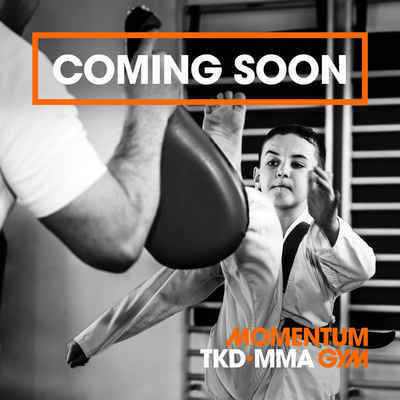 Momentum stands for Movement, Speed, Evolution, More. 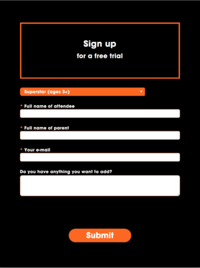 font we have chosen. The M is constructed to ensure that it works in harmony with all the letters from Avant Garde Bold. 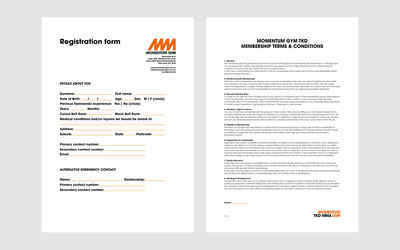 The M is a dynamic and strong shape symbolising the definition of Momentum. 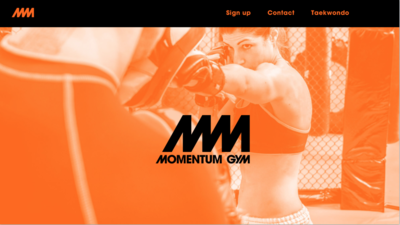 We chose two M's as Momentum's symbol to give it more persona and a start and finish. 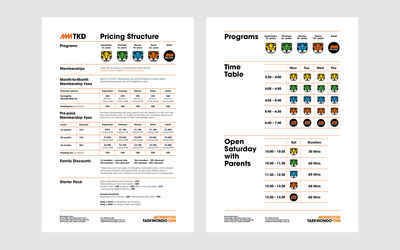 When combined with the logo type it becomes a solid logo that can compete in any setting. 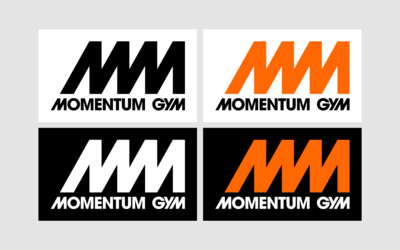 The main colours for Momentum Gym are black, white, and Orange; a strong and warm color with association to energy. 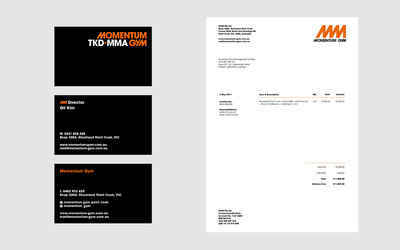 The logo type is also developed to work with the different branches of the Gym: TKW and MMA. During the course of developing the brand we did extensive research and testing to ensure a solid platform for the identity to provide a solid brand for the future. One of the stages was graphical experimentation to show the owners the potential of the identity. 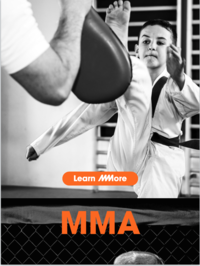 The double M's can be combined in many ways providing the Gym a freedom of choice while still repeating the main symbol. 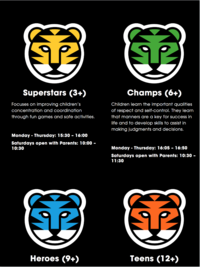 We have made Tiger mascot with tiger stripes inspired by the Momentum Gym MM logo. 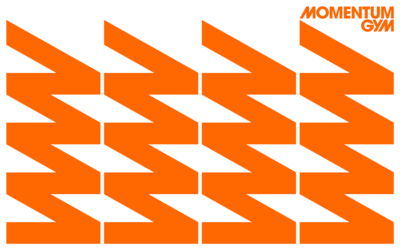 The lines of the Tiger are the same thickness as the MM logo to work well together. 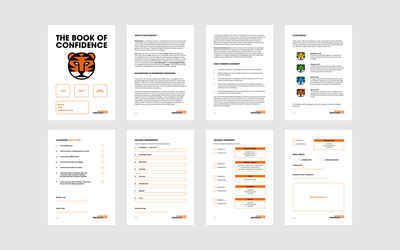 The main version is a combination of Orange and black.